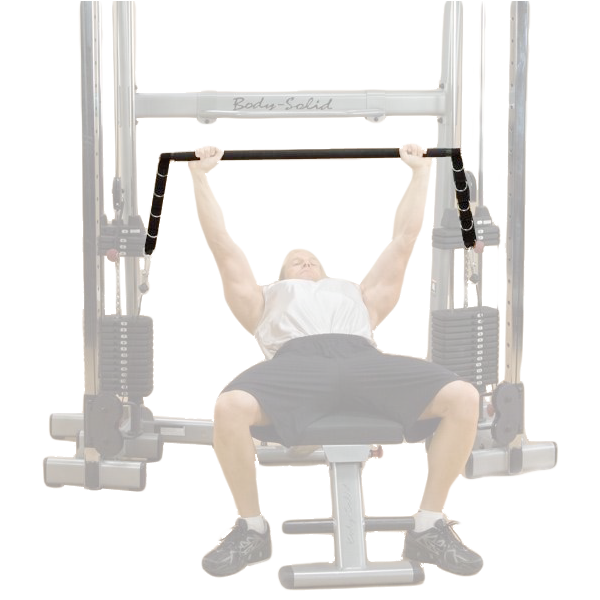 Now you can take full advantage your Body-Solid Functional Training Center’s dual weight stacks with the GDCC Functional Trainer press bar. 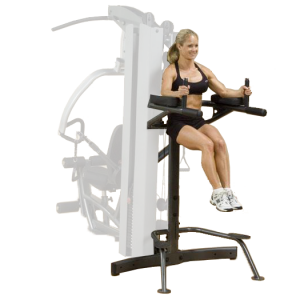 By connecting the GDCC to both racks of a compatible Body-Solid machine, you can use both stacks simultaneously for a smooth, unilateral movement. 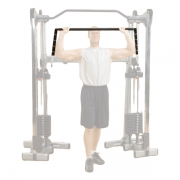 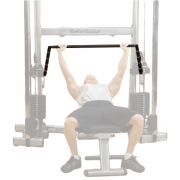 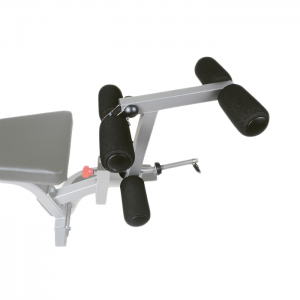 Get a grip on comfortable, efficient shoulder presses, biceps and triceps exercises, lat pulldowns and many other exercises using the GDCC Functional Trainer Press Bar. 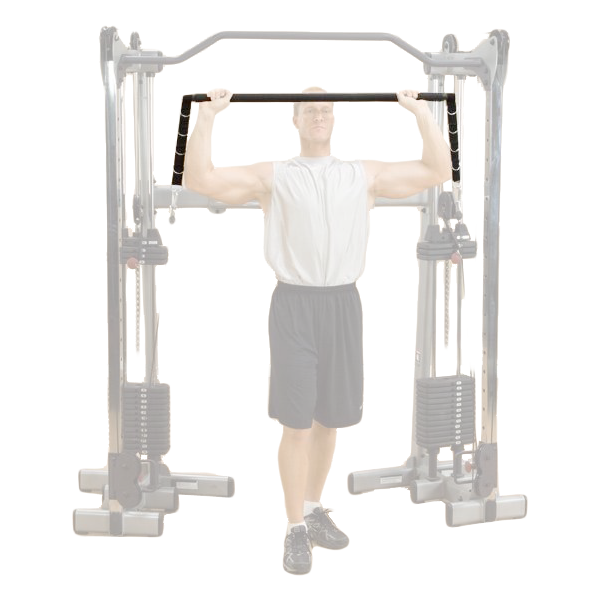 It attaches to the weight stacks for press exercises such as Bench Press, Incline Press, Decline Press, Shoulder Press, Squats. 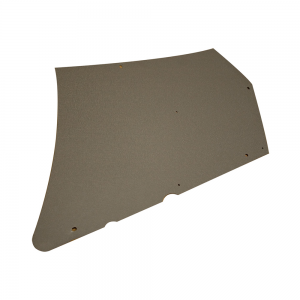 Size: 42″ Long x 1.5″ Dia. 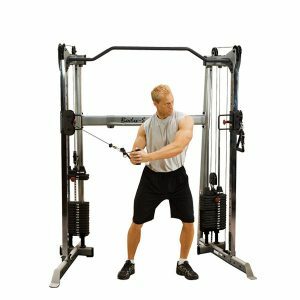 This must be used with either the Body-Solid Functional Training Center GDCC200 or GDCC210 (both of which are sold separately). 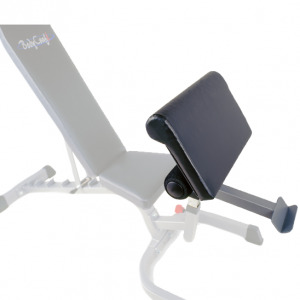 • Must be used with the Body-Solid Functional Training Center GDCC200 or GDCC210 (both are sold separately). 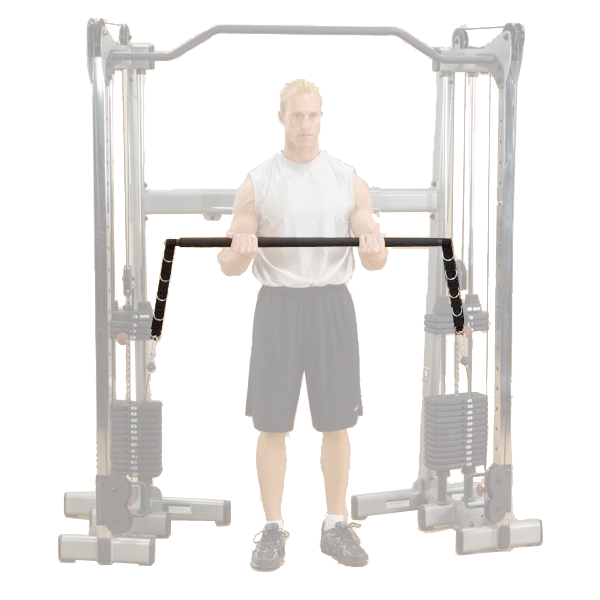 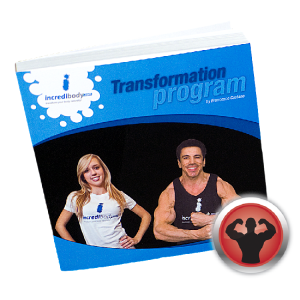 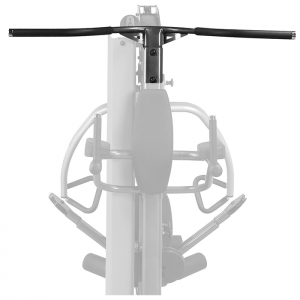 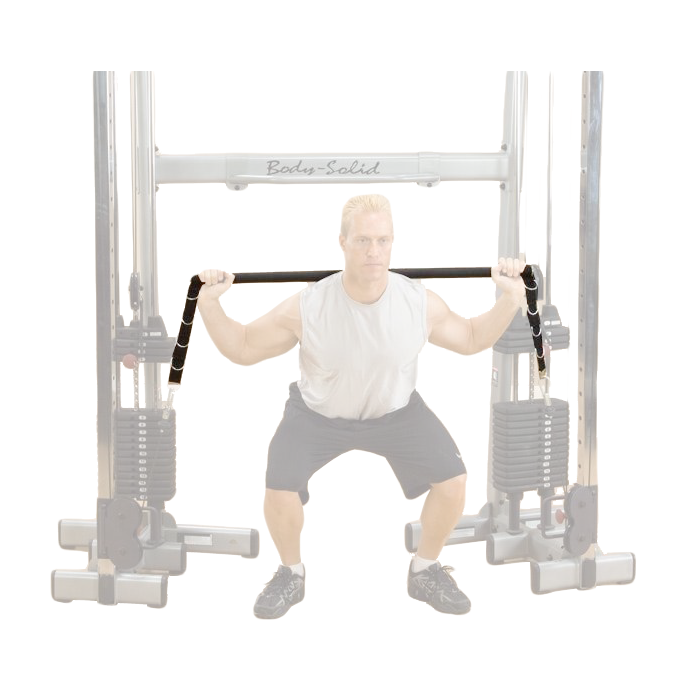 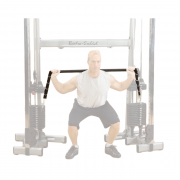 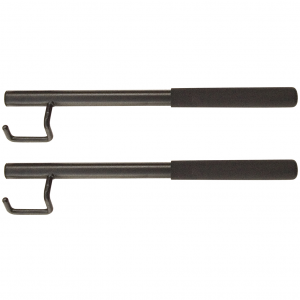 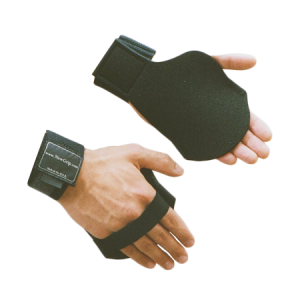 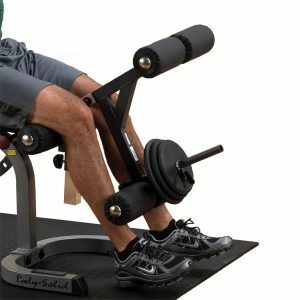 • Gives you the ability to use both stacks simultaneously for a smooth, unilateral movement. 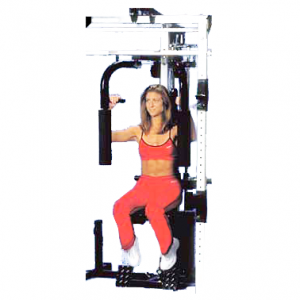 • Size: 42″ Long x 1.5″ Dia.